In 2012 I was lucky enough to acquire my Grandfather Lott. It caused quite a stir in the UK, there was huge interest in it, and I ended up being its guardian over the new period of its life. And like Arthur Shaw, it will outlive me. It was owned by Arthur, pictured above, who was principal bass with the Halle, and is pictured above with the Alfred Barker Orchestra in Bridlington. Alfred Barker was born in 1890, and was the Halle concertmaster from 1927-39. Arthur was professor of the bass at the Royal Northern College of Music, from 1944. He played in the Halle until he died in 1966. Jeff Box won a tutti job in the Halle in 1963 so would have known Arthur Shaw and the Lott bass. Jeff then got the principal bass job with what is now the BBC Philharmonic in 1965. Arthur died the following year, and several years later Jeff discovered the bass under the stage at the Free Trade Hall. 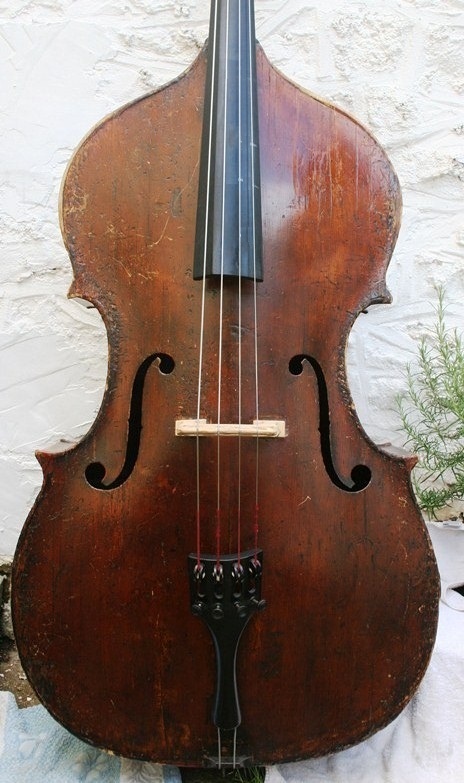 He bought the bass from Arthur Shaw's widow in 1968 and it was his main instrument throughout his career. Besides some superficial wear and tear, its in great condition. It was probalby made around 1825-30. 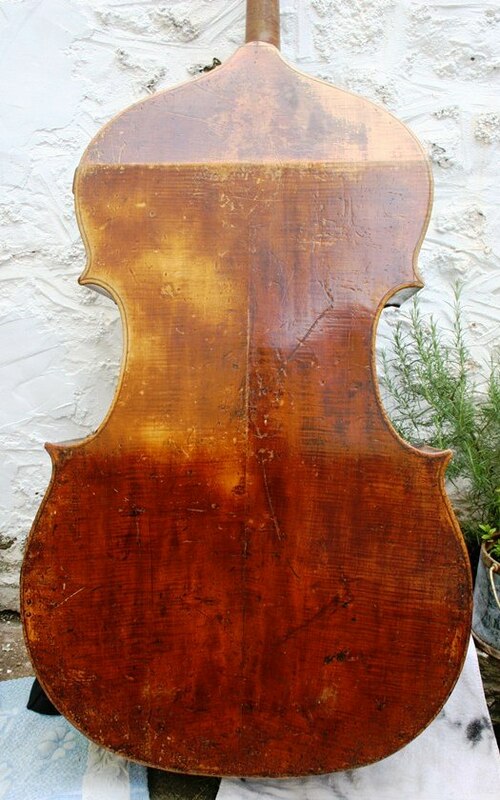 It has its original scroll and bass bar, complete with linen patches at the top and bottom of the bassbar.